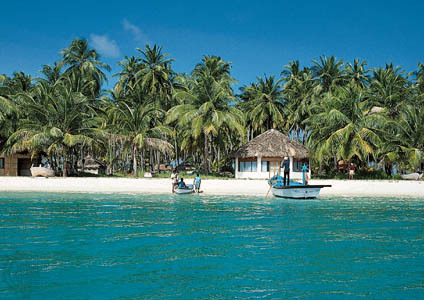 Lakshadweep formerly known as the Laccadive, Minicoy, and Amindivi Islands, is a group of islands in the Laccadive Sea, 200 to 440 km off the coast of the South West Indian state of Kerala. 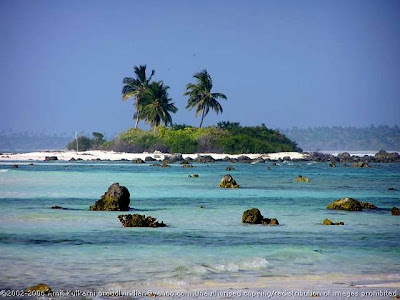 They were also known as Laccadive Islands, although geographically this is only the name of the central subgroup of the group. 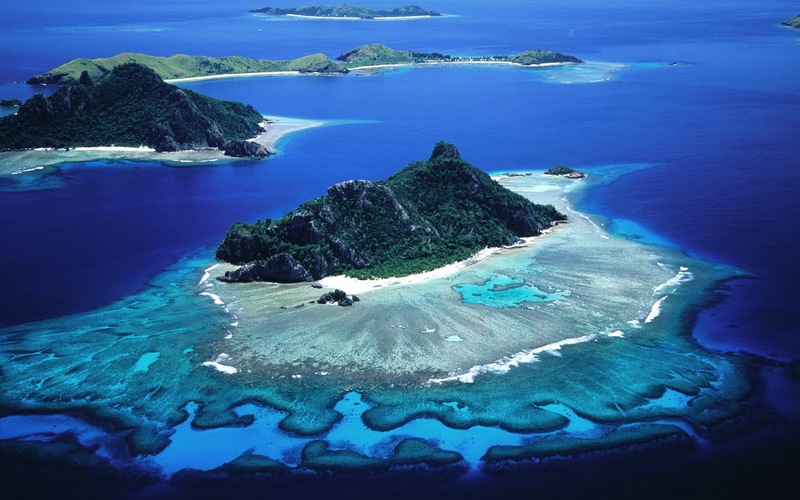 The islands form the smallest Union Territory of India. The total land area is 11 sq mi or 32 km². 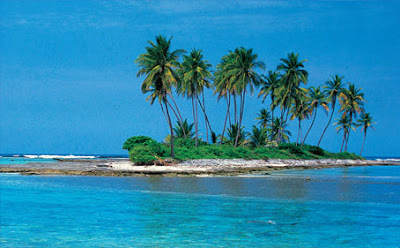 Ten of the islands are inhabited. 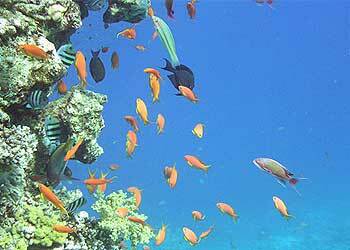 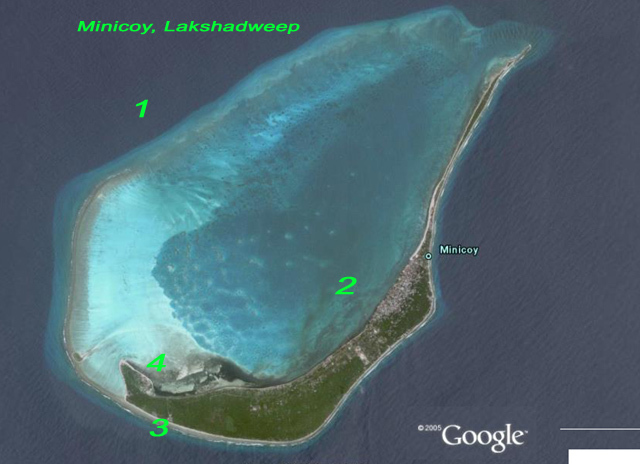 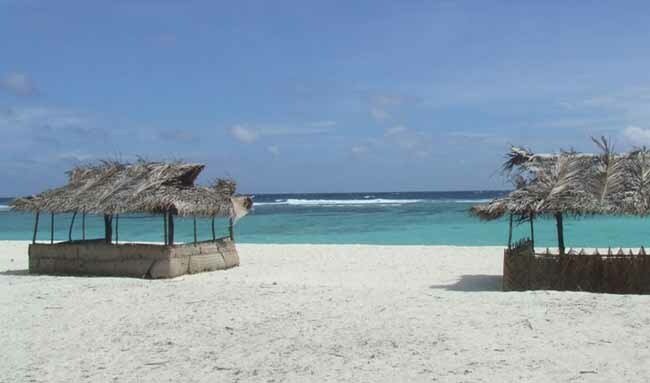 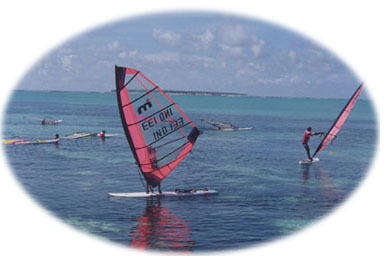 Lakshadweep is the northern part of the erstwhile Lakshadweepa. The islands are the northernmost among the Lakshadweep-Maldives-Chagos group of islands, which are actually the tops of a vast undersea mountain range, in the Indian Ocean, the Chagos-Laccadive Ridge. The land area is 32 square kilometres (12 sq mi); the lagoon area is about 4,200 square kilometres (1,600 sq mi), the territorial waters area is 20,000 square kilometres (7,700 sq mi) and the economic zone area is 400,000 square kilometres (150,000 sq mi). 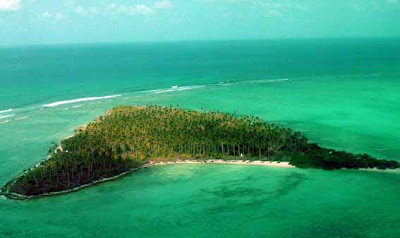 Against the vast blue sea the Lakshyadeep islands look like emeralds. 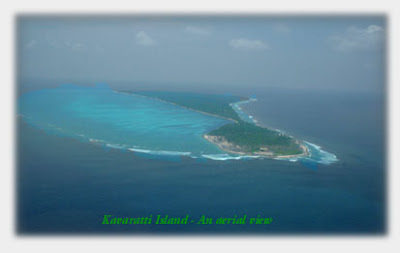 The huge wall like reef bordering the outer side of the shallow lagoons blocks the incoming swells of the sea.The Lakshadweep islands are linked to the mainland by ships & passenger planes. 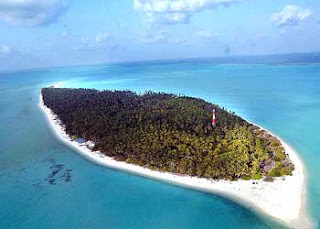 Agatti island and Bangaram island can be reached by Air and the others by ship from Kochi (Cochin). 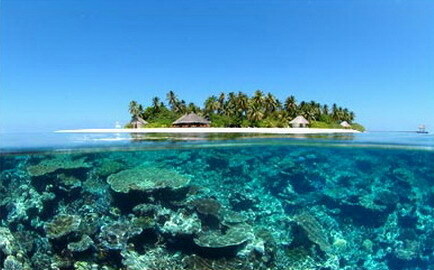 The temperature increases from South to North; April and May are the hottest with temperatures averaging at 32°C.